Most brands understand how important it is to be on social media. However, many underestimate the value of engagement. If you are shouting out into the abyss and rarely taking time to truly interact with your current and potential followers, you are missing opportunities to increase social media engagement. When you interact regularly, on the other hand, you are building the relationships that can drive conversions and profits. Utilize these strategies to increase social media engagement and improve awareness of your brand. 1. Incorporate images in your posts. One of the most powerful tools you can use to help you increase social media engagement is to incorporate visual content. One study indicated that images led to an 85% interaction rate on Facebook and increased shares of content by 35%. Pictures draw the eye and increase the chances that people will absorb and interact with your social media posts on Facebook, Twitter, and other platforms. In fact, entire platforms that include Instagram, Pinterest and Snapchat have thrived on the power of visual storytelling. Your brand has a wide variety of choices to increase social media engagement through visual content. Images of people using and enjoying your products is always a win. You can also share images of new items that you have for sale when you need a social media push. Look at stock photos if you wish to share a short textual message. Superimpose your text over an engaging image for highly shareable content. When creating or curating images to share on social media, make sure you are familiar with each platform’s technical rules and best practices. Snapchat, for instance, favors vertically oriented images. Square images look great on your Instagram page. You can also play with frames, filters, and other features to draw attention to your posts. Using these elements in a way that resonates with users of a particular platform helps your images and posts blend in. They are more likely to register as wanted content rather than intrusive marketing when you keep to the general look and feel your audience prefers. If it is appropriate for your brand, incorporate humor and personality into your social media posts. Many people follow brands that include Dollar Shave Club, Wendy’s, Denny’s, and Moon Pie specifically because of the creative and engaging content that they share. Often, it can be hard to break through the social media noise to get people’s attention. Even social media users who follow your brand are likely to scroll right past stories that are overly promotional in nature. This is not surprising. After all, they have no personal reason to be invested in your brand’s development or success. However, when you add humor, you add value to their day outside of what your products themselves provide. This sort of content brings smiles to faces and fosters a more favorable view of your brand. It also makes it more likely that you will see an increase in social media engagement and shares as people choose to pass along the content that made them laugh. There are some rules for effective humor online, however. Jokes, in general, should be lighthearted and fun. Mean humor often backfires on brands and can make people hostile. If you are going to make a joke, it is often best to make your brand or its social media representation the target. For instance, in the tweet above, the social media manager is talking about their own love of Moon Pies. A brand’s ability to laugh at itself is humanizing and goes a long way toward building rapport with your audience. 3. Ask for feedback and reviews. Want to get your followers talking? Ask them to share their opinions! Many people are very happy to talk about the products they like and the ones that they feel could use improvement. You can ask them to leave their reviews and feedback as comments or direct readers to your review page. The latter can be especially helpful if your review page on Facebook is somewhat sparse. If happy reviewers leave their opinions, they provide valuable information for those who have not yet decided whether or not they wish to use your product or service. As with any strategy, there are some caveats. On most sites, it is against the rules to offer rewards in exchange for reviews. So, while a restaurant may want to give a free dessert in exchange for a review, this action could get your social media page suspended. You are also strictly forbidden by law to offer incentives for positive reviews. This is especially true if a brand is soliciting a review from someone who may not have used the product. The FTC has issued a number of fines for false reviews. The potential benefits from positive feedback are not worth the potential consequences. Instead, just remind people that you want to hear from them. Their reviews can help you devise new products or improve ones that you already offer. And, if they only have positive things to say, so much the better! Everyone loves to get positive feedback now and then. 4. Prompt the reactions you want with emojis. One of the things we always need to be cautious about when we post online is that textual communication doesn’t come with clear indications of tone. You can add a feeling or a prompt to a post, however, by including emojis that give your readers a hint of what you are feeling. If you are sharing a joke on your page, for instance, a laughing emoji can set the stage for the humorous reaction you are looking for. Hearts, smiles, and flowers can all indicate friendly or affectionate feelings. Many apps allow you to create a library of frequently-used emojis to make it quicker and easier to find your favorites. When you use this method to increase social media engagement for your brand, however, make sure you use it well. One or two emojis per post will be adequate for most brands. Add too many, and your post could wind up coming off immature or hard to read. You should also make sure that emojis fit your brand well. They are a good fit for brands that are lighthearted and put forward a youthful look and feel. 5. Share a surprising statistic. One of the best ways to get someone’s attention is to share a fact or statistic that they did not know about before. While we usually take to social media to be entertained, many of us are happy to be educated while we are there, as well. Ideal statistics to help your brand increase social medial engagement can include anything that relates to your industry or the interests of your audience. For instance, a sporting goods brand that sells bike helmets may share a factoid about the number of people who avoid head injuries every year due to proper headgear. The best facts are the ones that can be summed up in one brief sentence. If your post is few enough characters to use one of Facebook’s custom backgrounds, for instance, these can add visual appeal. You can also seat facts inside an image for instant visual appeal. You can also use statistics and bits of data to bring people to your site’s web page. A brand in the B2B sector, for instance, can share a small factoid out of a case study or blog to generate followers’ interest in reading the entire thing similar to what we did with this Facebook post to our page. Whenever possible, use your bits of data and statistics to create interest and intrigue. Monitor social media comments to see what people have to say; and, when they respond, be sure to like and respond to their comments. People love free things. Take advantage of this to increase social media engagement by upping your likes and shares. One of the most common ways this works start with simple posts on your brand’s Twitter feed, Facebook or Instagram page. Ask people to like and share for a chance to win one of your products. These posts are most eye-catching when they include a high-quality image of one of your products. You can go for even more engagement and quality content by asking people to enter by sharing an image or a text post that includes a specially-designated hashtag. Choose something that you are not using for any other promotion and that users are not likely to use in ways unrelated to your brand. For instance, a cosmetics company may ask people to post pictures of their favorite lip look with the hashtag #OURBRANDlipcontest. The hashtag approach gives you the advantage of seeing quickly and easily how many people are engaging with your content. It also makes it easy for new people to follow the hashtags back to your original post and engage with your brand. For even more engagement, consider posting the giveaway to your blog and across all social media channels. Free software can allow you to give users additional entries for actions like commenting on a social media post or liking and sharing your page. 7. Add immediacy with live video. More and more traffic on social media sites involves video instead of still images or text. This is driven, in part, by improvements in technology. The other side of the equation is that people are more likely to spend a few minutes engaging with a video than they are to read a long social media post. Live video is available on a wide range of social media channels. It represents one of the best tools available to increase your social media engagement. According to MarketingLand, people spend three times as much time engaging with a live video than they do with one that is prerecorded. Additionally, video posts have 135% as much organic reach as do photo posts. Some brands, such as restaurants and bars, have obvious subjects for live video posts. A bar can share a few minutes of a special event or a live performance. Restaurants can give diners a peek in the kitchen so that they can see what is on the menu that night. But, other brands should not feel that they do not have live video subjects to share. A product unveiling allows people to get a close look at a new offering. You can show them the new item from every angle and let viewers see it in use. You can also use live videos for Q&A sessions about your brand. After your live video, be sure to edit highlights and release those separately. This way, your content continues to add value even for people who could not be at the digital event when it was live. Your video continues to increase social media engagement for weeks or months after the fact. Marketers and sales people are drilled to ask the prospect for the sale. When you are working to increase social media engagement, be sure to ask for the comment, like, or share. Studies have shown on Twitter that tweets that end in “Please Retweet” are more likely to be shared. You can also ask people to like, share or to add a comment. If you ask for comments, make sure that you have someone monitoring your page to look at and respond to the answers. Make sure that your replies are friendly; a social media showdown is more likely to harm than help your brand. If people respond with issues or complaints, get them into DMs and solve their problems as soon as possible. However, for most brands, you are more likely to see kudos than complaints. Keep the conversation going to show that you care about what people have to say. 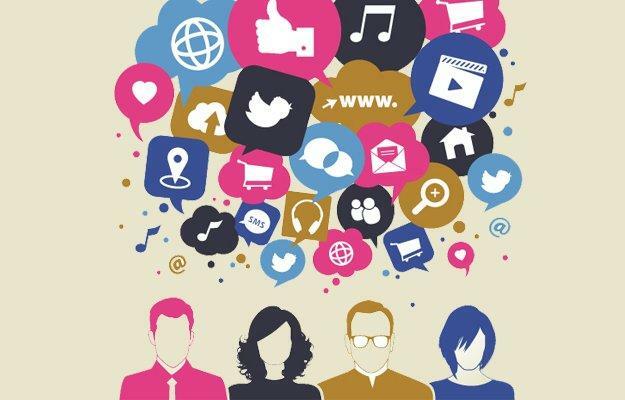 Interacting frequently is a key to social media engagement. You should also note that this is a strategy that should not be overused in your mission to increase social media engagement. If every Facebook post ends in “share if you agree,” you risk alienating the people who you want to engage with your brand. Use a variety of ways to ask for engagement in order to keep your content fresh. And, do not ask on every single post. This way, it has far more power when you do ask. Working to increase social media engagement is an ongoing task. You will need to spend some time getting to know your audience and then spending time with them every day. Use analytics to see what efforts get you the best results. This way, you can dedicate your time to the tasks that help increase your social media engagement most dramatically to get the best out of every action you take with your brand. Not sure where to start? Get in touch with our social media agency. We’d love to help you put your brand’s best foot forward and to build the social media engagement you need to succeed! Do you have more ideas on how to increase social media engagement? Share them with us in the comments below! Live videos are definitely in right now. They work great for increasing your reach and can even generate conversions if you know how to set up comment triggers for messaging. I’d like to mention post timings as an important factor for engagement. If you post when your audience is asleep or working, you’re not going to get much attention. You can check your own social media analytics to see the times at which your posts perform best. Previous Post Remarketing vs. Retargeting – What Do They Mean & How Do I Use Them?